It’s the holiday season and the time for giving. I’ve always been a fan of providing homemade gifts along with store bought goodies to really show some extra thought and appreciation to those in your lives. 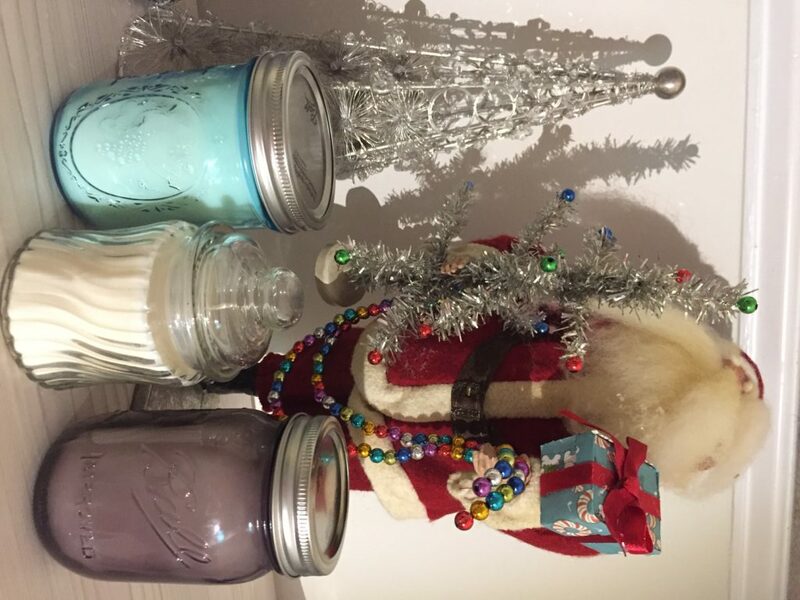 A few years ago I decided I was going to try my hand at creating homemade candles, and it was a success. Every year since, my family looks forward to receiving a candle in their favorite scents. 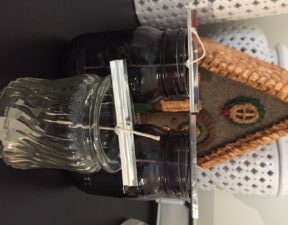 Since candles are always a safe gift idea, I wanted to create a simple 7 step how to guide on how to make your own candles so that you can give a little something extra this year. Wax (Soy) – Soy is easier to find and has great scent throw. You can find candle making supplies all over the place, from craft stores, ebay, Amazon, and everywhere in between. 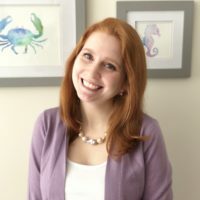 Most of my supplies have come from a small company in Massachusetts called Candle Chem. They’ve gots tons of dyes, wicks, jars, scents beyond your wildest imagine and every other supplies or accessory you could ever need for candle making. They’re great and I highly recommend them! For fast wax supplies, I use Amazon. Step 1: Begin by prepping your jars. I’ve picked up some mason jars from the Christmas Tree Shops and little glass jars with lids, typically used for candies, at the Dollar Tree. Wash the insides of your jar with a damp paper towel and let dry. Step 2: Prep your wicks. If you don’t buy the already put together wicks, you’ll need to fasten all the pieces together. Cut your wick into 6-7 inch pieces for mason jars, and 4 inch pieces if you’re using the Dollar Tree glass candy jars. You want to leave extra room so your wick doesn’t fall into the wax. Thread the wick through the metal wick tabs and leave a little extra at the bottom. 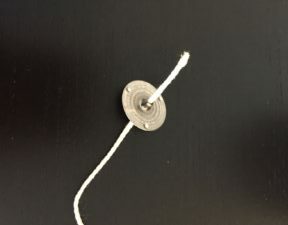 You’ll now cover that left over wick string with a wick sticker that will attach your tab and wick together, and it’ll keep your wick in place inside your candle. 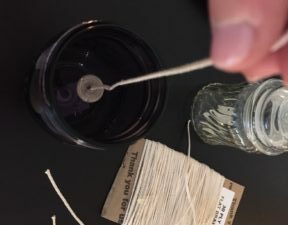 Step 3: Place your wick into the center of your jar and use your wooden spoon to stick the tab into place. It can be tricky to get the wick right in the center. 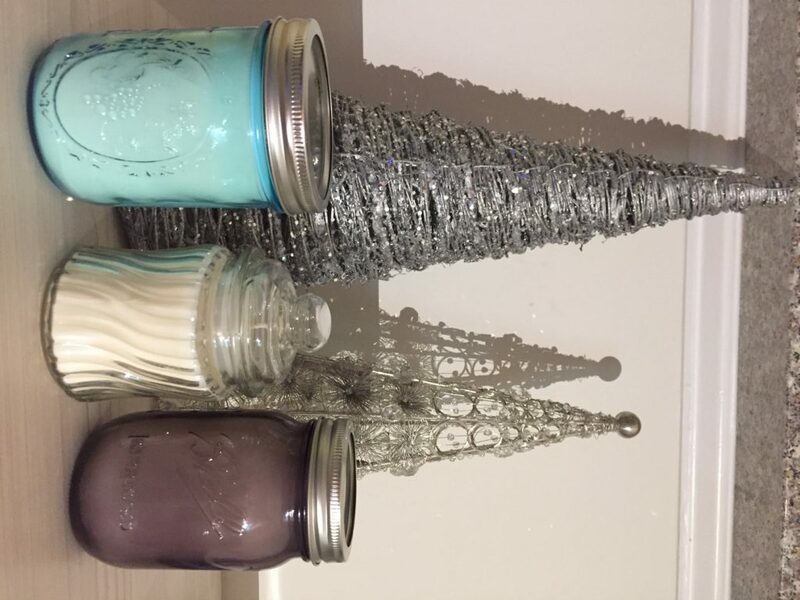 It’s ok if it’s not perfect, it won’t make your candle any less pretty or less functional! Step 4: Slide wicks through metal wick bars to keep the wicks in place. If you don’t use something to keep the wick in place, it’ll move all around the heated wax and have trouble staying upright. If you don’t have metal wick bars, fear not – use a straw and some tape! Step 5: Measure out your wax. 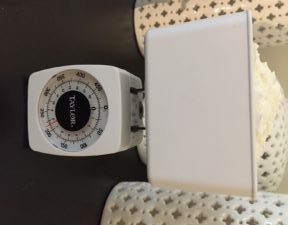 I use a little portable food scale. Since the wax fills up my container pretty quickly, I usually fill the scale up twice with around 7 oz of wax each time for a standard mason jar. I recommend always having a bit more wax than you expect because you never want to pour and then realize you don’t have enough wax to fill your container. 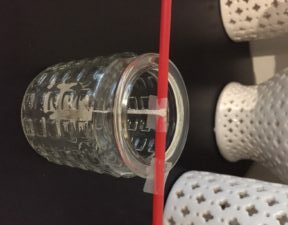 For other containers, a great trick for figuring out how much wax to use is to fill the container with water and then weigh it to see how many ounces you’ll need. Step 6: Melt your wax. 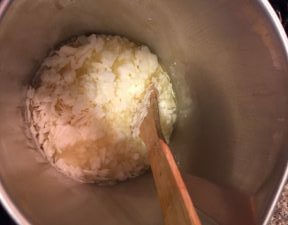 I use a 4lb wax pouring pot that you can get at craft stores and online. 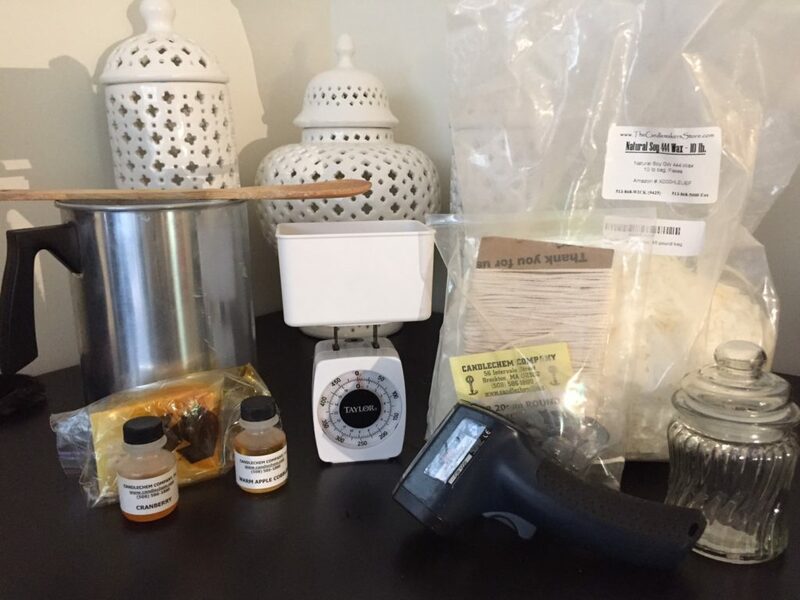 I usually work with 1 lb at a time because I like to make small batches of scents. 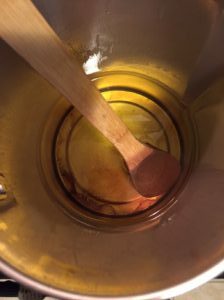 Use your wooden spoon to stir and help melt the wax quicker. 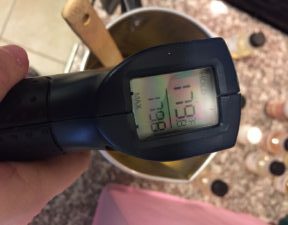 Each wax will be slightly different, but in general soy wax should be heated up to 155 degrees fahrenheit, ensuring all wax chunks are completely melted down, no one wants to pour a lumpy candle 🙂 I recommend using a infrared thermometer for keeping track of your wax’s temperature, plus it’s kind of fun pointing it at random things and seeing how hot they are. Time to cool down this wax to 155. Once your candle is around 155 degrees fahrenheit, it’s time to add any dyes and scents you want. I occasionally color my candles, trying to match the scents I’m working with (i.e. Apple = red or pink), but it’s easier to just use the natural wax color giving you a beautiful white candle. If you used a colored jar there’s no need to dye your wax. If you add a scent or color, I recommend stirring them in for a minute or so until everything is fully blended. It’s recommended to use 1 ounce of scent for every pound of wax. 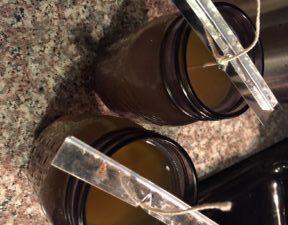 Cool the wax down to around 125 degrees fahrenheit before pouring it into your jars. I typically set the pot on the counter to cool down, stirring every now and then. Step 6: Gently pour wax into your jar. Be careful not to bump the wick bar. Step 7: Let your candle cool for 24 hours and try not to move it so it settles correctly. 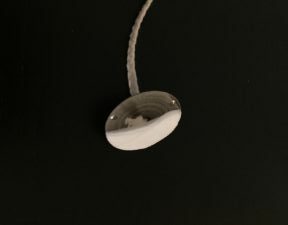 During this process you may notice some of the sides of the candle seem kind of frosty, this is known as frosting and happens due to crystallization and is typical in soy candles. It doesn’t affect the candle at all, and can be avoided by making sure you don’t pour your wax at a high temperature. I’ve learned to embrace frosting when it happens and it usually goes away after burning the candle during use. After your candles are fully cooled and have sat for 24 hours, cut the wick and enjoy your creation!